SEMA News listing in the 2019 September and October issues, and a full page ad in the November issue. 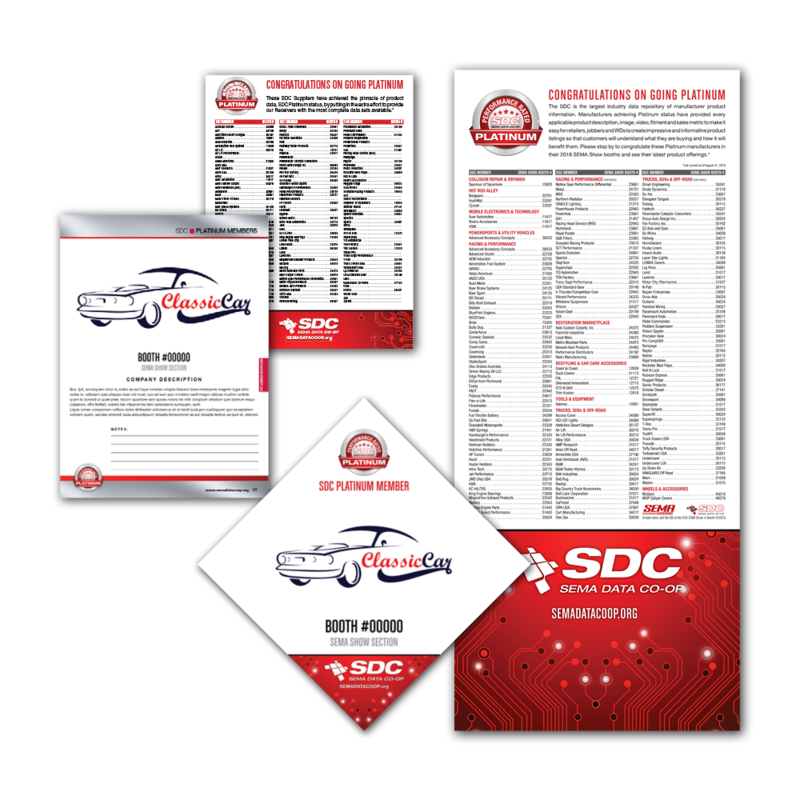 Listing in each of the four 2019 SEMA Show Daily publications. If you have questions, please contact your sales representative. *Platinum Level Suppliers have achieved the pinnacle of product data by putting in the extra effort to provide SDC Receivers with the most complete data sets available.